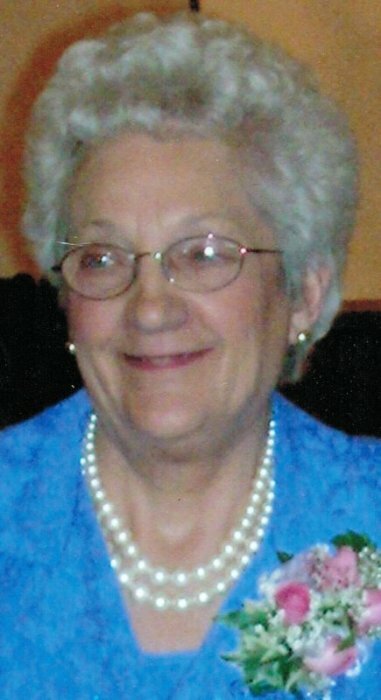 Marjorie Elizabeth (Koopman) Jorgenson was born June 16, 1929 in Wabasha, the daughter of August and Nellie (Glines) Koopman. She was peacefully called home May 14, 2018. In her early years, she worked in the dietary kitchens of St. Mary’s Hospital in Rochester and she worked as a day care provider. Most recently she worked at Mayo Clinic in the Physical Therapy and Rehabilitation Department. She retired in 1992. Marjorie married Elwin “Bill” Jorgenson May 28, 1960 in Wabasha. They made their home in Rochester and raised their five children there. The couple moved to Minneiska in 1992. Bill died June 12, 2003. She later found happiness again and was united in marriage to Robert Peters at St. Mary’s Catholic Church in Minneiska. He died February 2, 2016. She loved gardening, fishing, cooking, baking, knitting, crocheting, playing cards, working on puzzles and most of all spending time with her children and grandchildren. She will be dearly missed by her loving family. Marge is survived by son, Bruce (Janine) Jorgenson, Wabasha, MN; daughters, Terri (Greg) Thorson, Decorah, IA, Linda Gates, Byron, MN; ten grandchildren, Jason Cunningham, Katie Larsen, Brian (Mandy) Jorgenson, Jeffrey Thorson, Krista (Laura) Jorgenson, Brittany Jorgenson, Amber Jorgenson, Jenna Martindale, Alex Gates and Bailey Gates; several great-grandchildren; sisters, Alice Riley, Hobbs, NM, Carol Arenz, Onalaska, WI, Esther (Edward) Pletsch, Rochester, MN; brother, Donald Koopman, Knox, IN; nieces and nephews and grand-nieces and grand-nephews. She was preceded in death by her husbands, Bill Jorgenson and Bob Peters, her parents, August and Nellie Koopman, an infant daughter, step-son, Lawrence Jorgenson, step-daughter, Lana Olson, and six brothers and sisters. A funeral Mass will be offered on Friday, May 18, 2018 at 11:00am at St. Mary’s Catholic Church in Minneiska with the Reverend Father Chinnappa Pothireddy officiating. Interment will follow at St. Mary’s Cemetery. Family and friends may call at Abbott Funeral Home in Wabasha on Thursday from 4-7pm and at the church on Friday one hour before the Mass.